With vast technical knowledge in the motion simulators field, WALDYTECH help its customer to fine tune their specification in order to get the most efficient solution and value. WALDYTECH support begins with early product definition and custom requirements through the characterization with the supplier. 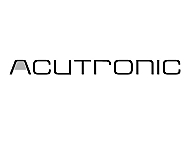 At the end of the cycle, with sophisticated and state of the art technology of Acutronic final products delivered, customers can benefit with the highest quality motion simulators in the market and best support for many upcoming years.